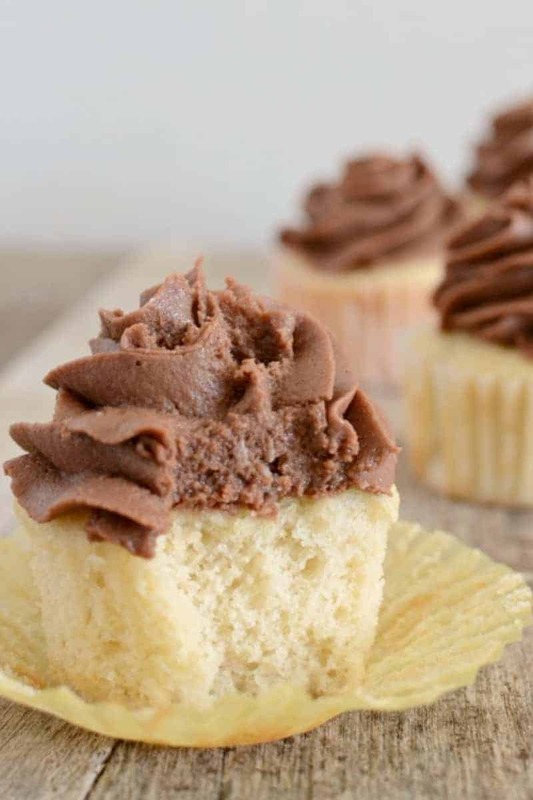 Perfect vanilla cupcakes topped with homemade whipped milk chocolate frosting are what dreams are made of. Today I start another round of Feel Great in 8 and I’m so very excited! I had such a great time forming new habits, losing some weight, and doing something hard last time that I really felt like another go at it would be good for me. So in honor of my giving up sweets for 8 weeks I thought we should celebrate with some sweets and a Kitchen Aid giveaway!!! Ok, Ok, maybe we should have celebrated with a celery giveaway or something, but cupcakes are way more fun. 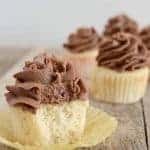 Everyone one needs a vanilla cupcake recipe with chocolate icing in their archives. I’m really just doing you a favor. I love a box of cake mix as much as the next girl, but I don’t love using cake mix for cupcakes. The texture is just too fine and they tend to crumble all over the place. No thank you! I’ve been on the hunt for the perfect vanilla cupcake recipe for months and I dare say I found it. 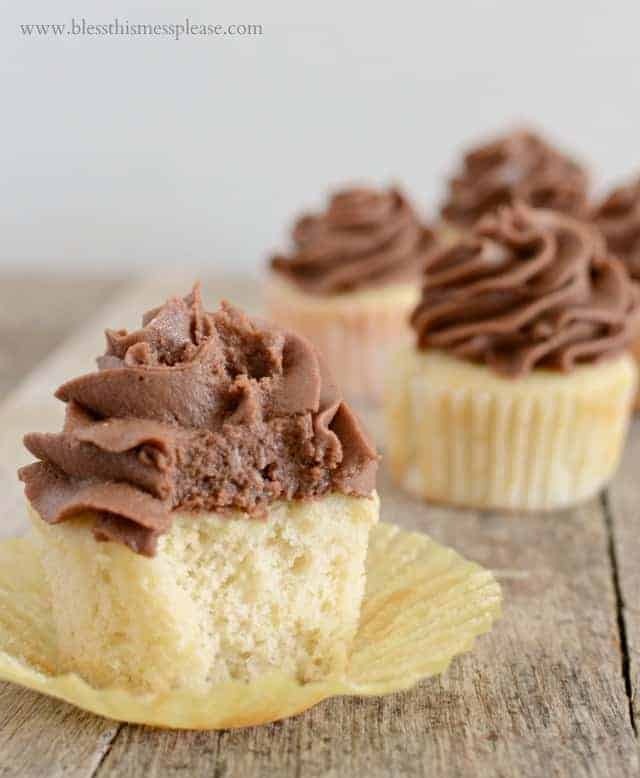 Top with some homemade whipped milk chocolate frosting and you have a match made in cupcake heaven. Of course a shiny new Kitchen Aid would make that frosting extra fluffy! Just enter below! 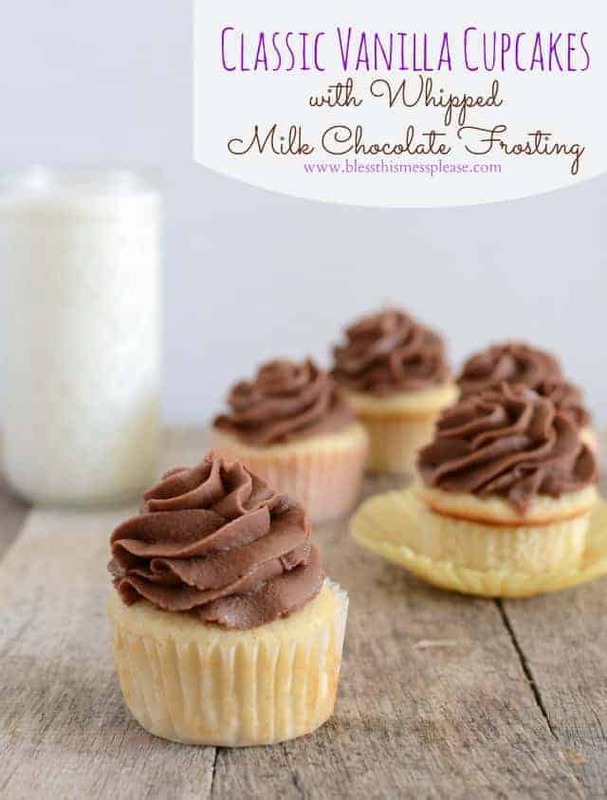 This recipes was adapted from and inspired by Sally’s Baking Addiction Very Vanilla Cupcakes. So the last big group giveaway that I participated in was kind of a joke. There were like 300 entry options or something. I had no idea there would be that many until it went live and I had already paid to participate. So this time around it’s very different. 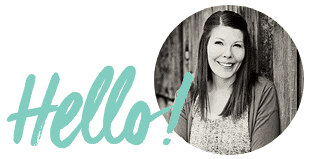 I’ve teamed up with a bunch of bloggers, most of whom I know in real life, and they are great. 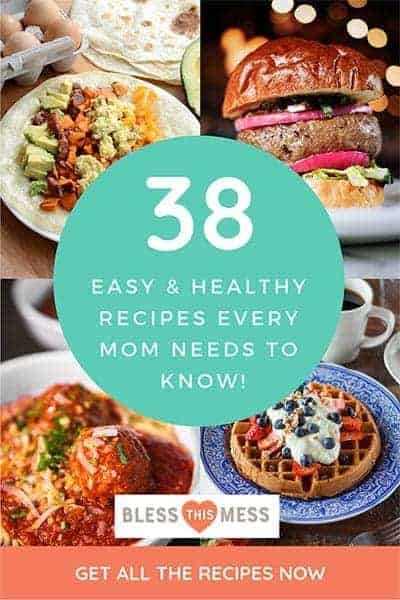 They have fun blogs, gorgeous pictures, and delicious recipes. They come highly recommended. So enjoy getting to know them and good luck! One of YOU will have the chance to win a KitchenAid 5qt mixer of your very own! Entering is super simple. Just follow the instructions on the rafflecopter below. The giveaway will run from now until Friday at midnight, you must be 18 or older to win, and it’s open only to US citizens with shipping addresses in the states. You have lots of entries which means you chances of winning are kind of awesome! I hope one of you win; just know that my fingers are crossed for you! The constancy of the icing is important if you are going to pile it high on a cupcake. It should be a medium consistency. If you mix the batch of icing with a metal teaspoon (the kind you use for dinner) it should stand up straight in the middle of the bowl when it is in the icing. So, you should be able to stir it with a spoon by hand but it should also be sturdy enough to hold the spoon up. If the icing is too thick, add a little cream. If it needs to be a little thicker add a 1/4 cup of powdered sugar and whip to combine until it’s sturdy enough. Place in an icing bag and pipe on the cool cupcakes with tip M1. Preheat the oven to 350 degrees and line a 12-cup muffin tin with paper liners. In a medium bowl combine the flour, baking powder, baking soda, and salt. Use a whisk to combine. In a large bowl add the melted butter and sugar. Stir to combine (the mixture will be gritty still). Add the egg whites, yogurt, milk, and vanilla extract. Stir well. Slowly add the flour mixture to the butter mixture and stir until there aren’t any lumps. The batter will be nice and thick. Once it the batter is all wet and well combined, stop stirring. Don’t over mix. Divide the batter among the 12 lined cups. Bake for around 20 minutes until the tops spring back with touched and a toothpick inserted into the center comes out clean. Let the cupcakes cool in the pan for 5 minutes and then remove to a wire rack to finish cooling. Let the cupcakes cool completely before frosting. Add the butter and cream to the bowl of your stand mixer. Mix on medium speed with the whisk attachment until the butter and cream combine. Increase the speed to high and mix for 3-5 minutes until the mixture is light and fluffy, stopping to scrape down the sides a time or two. Add the vanilla, cocoa, and 2.5 cups of the powdered sugar. Mix on low until combined and then increase speed to medium and whip for 1 to 2 minutes. The constancy of the icing is important if you are going to pile it high on a cupcake. It should be a medium consistency. If you mix the batch of icing with a metal teaspoon (the kind you use for dinner) it should stand up straight in the middle of the bowl when it is in the icing. So, you should be able to stir it with a spoon by hand but it should also be sturdy enough to hold the spoon up. If the icing is too thick, add a little cream. If it needs to be a little thicker add a 1/4 cup of powdered sugar and whip to combine until it’s sturdy enough. Have a great day and thank you so much for stopping in. You all are the best. wow! what an awesome giveaway! thanks for the chance to win. happy easter! I never tried adding sour cream to my vanilla cupcakes before! I definitely have to give it a try this weekend! 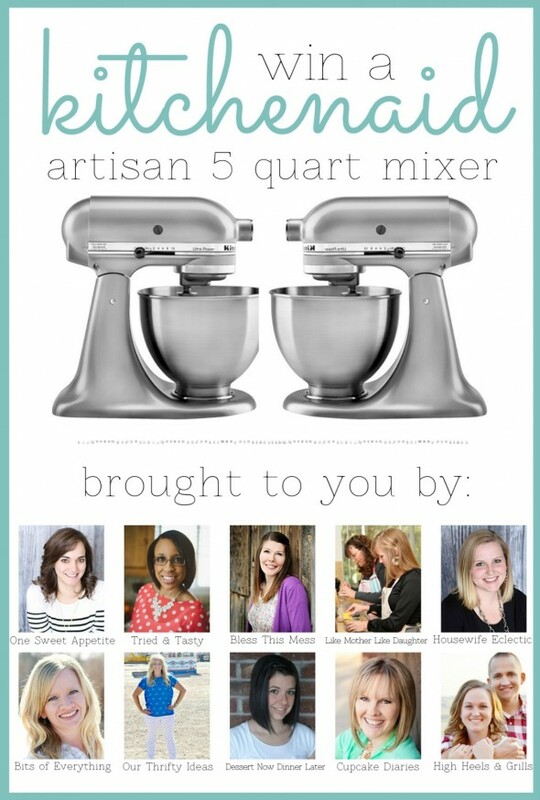 A stand mixer is definitely a must-have kitchen equipment for me too! I made this recipe today with my daughter and immediately made another batch. They are so good, thick and moist and lovely, not crumbly at all. Thank you for the recipe! I love all of your recipes! I am so excited at the thought that one of us, your lucky readers, have the chance at winning this beautiful machine. Thank you! !